Our 12 Days of Giveaways is starting to wind down (12/9/18 – 12/20/18), but there are still a few prizes to win, and they're the ones valued over $300. Today we're proud to say that we've teamed up with StealthGear USA, to win a bunch of goodies like a holster, mag pouch, belt, etc. A quality holster is an essential piece of equipment for the everyday CCW permit holder. StealthGear USA makes some of the best holsters on the market and has a following of CCW permit holders who swear by their products. StealthGear is known for their innovative designs in holsters with their patented Ventcore Technology, which allows air to flow through your holster reducing the potential for sweating. 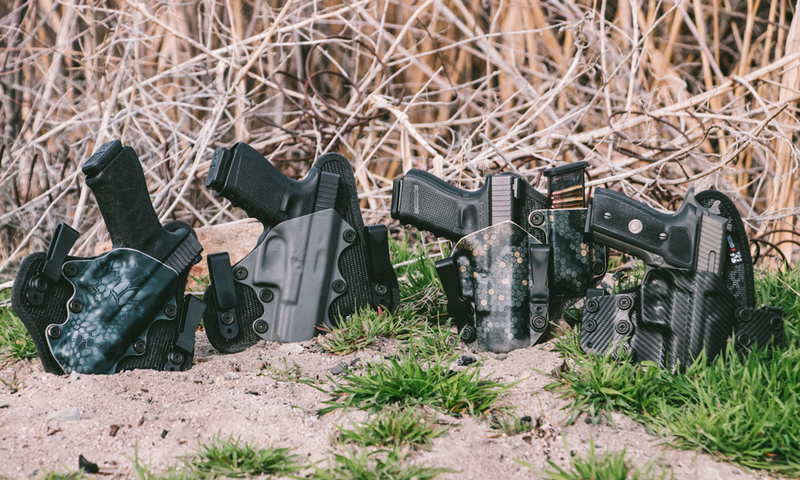 The holsters are available in a few different configurations for side carry, appendix carry, and two-in-one holster and magazine combos. The products sold by StealthGear are made in American Fork, Utah with materials sourced from businesses inside the US, in order to provide the best equipment for someone whose life might depend on it. The business itself is a form of the American dream. They started in 2012 in the basement of the owner and founder, Paul Laemmlen, who had been searching for a more comfortable holster. After debuting the holster to his friends and family they began to clamor for more, encouraging Laemmlen to approach the market with his innovative design. 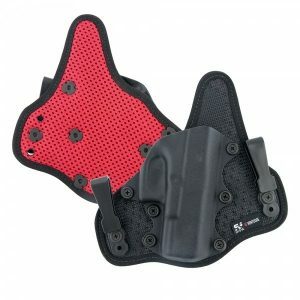 The holsters themselves are available in a large number of colors and designs so the customer can get the perfect look for them. Going above and beyond quality holsters, StealthGear USA also produces other products to complement the holsters. 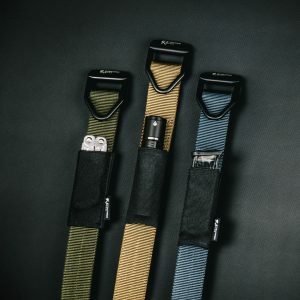 Mag carriers are a natural addition to the holsters they offer, but also available are wallets, apparel, CCW gun belts, and a clever little product called the SG-180 Carrier, which is an elastic pocket that can be threaded onto a belt to carry a spare magazine, multi tool, or anything else you can fit in it. 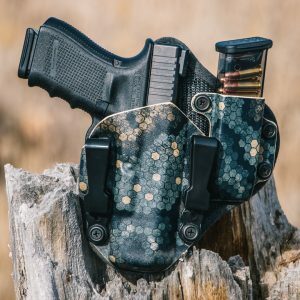 While StealthGearUSA may not be the largest holster maker on the market, they are one of the up and coming businesses looking to shake up the industry with innovation. For more information on how you can win this package from our friends over at StealthGear USA, learn how to enter, here. The alert popped up and disappears before I could register. Could it be sent again? Same happened to me the last 3 days. Was unable to register because the notification didn’t take me to the page.